On Tuesday April 16, I attended the opening of Ron Kalina's "Harmonica Convergence" at the Indian Wells Resort Hotel. 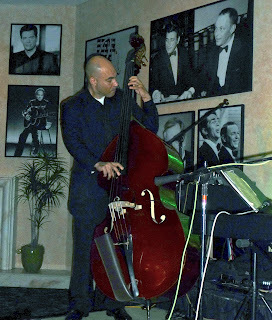 Ron Kalina put together a highly talented trio consisting of Blake White on Bass and Gino Antonacci on Vibes and Ron Playing both Keyboard and Harmonica. 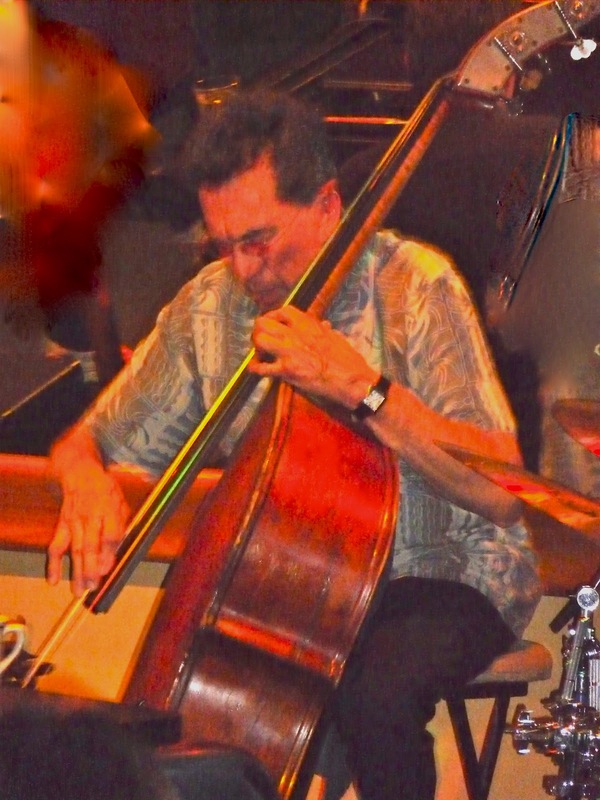 I want to start this review by stating that Ron Kalina is simply an amazing musician. Tonight Ron sang, played the Keyboard, played the Harmonica and then played the Harmonica and the Keyboard at the same time. Ron further surprised me and a lot of people in the audience with his singing ability. His voice sounds like a combination of Fred Astaire, Chet Baker and Johnny Mercer. Not a bad group of singers to hang with, don't you think! 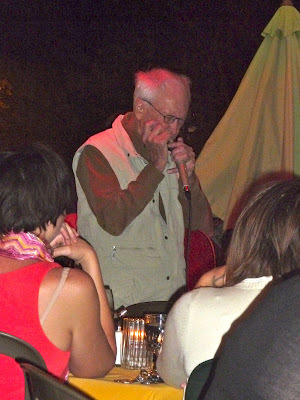 There were two songs that Ron played on the Harmonica tonight that were just brilliant, "Body and Soul" and "Skylark". These are two of the greatest love songs ever written and when played with the soulful sounds of Ron's harmonica, it just does get any better. 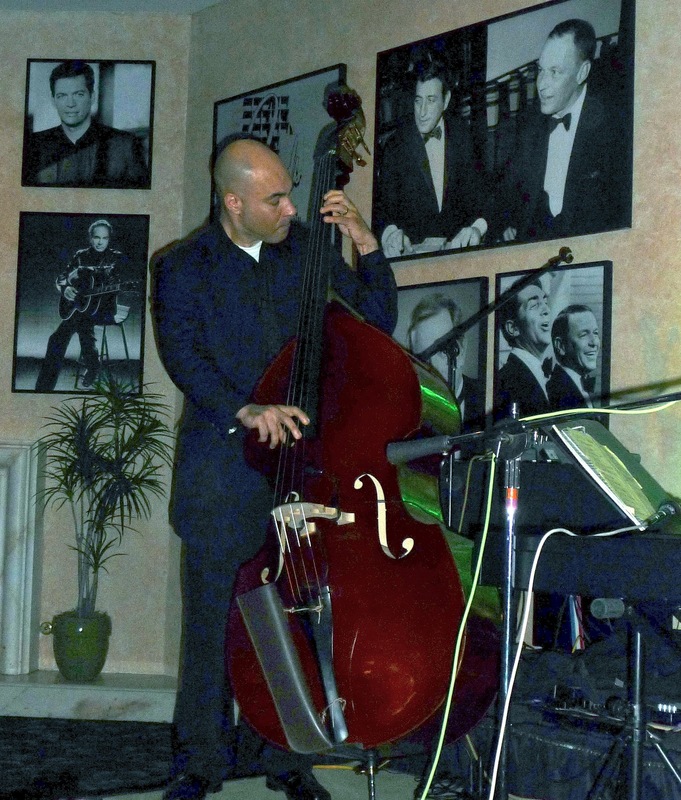 Gino Antonacci is one of only a few great jazz players you can still hear playing the Vibes. I have not heard a Vibes player in many years and after hearing Gino play it quickly reminded me of how much I love the sound. Gino fit perfectly with the sound of Ron's Harmonica and Keyboard. And can he swing! What a treasure to have him playing right here in the Desert. The third member of this group was Blake White who played the Bass. 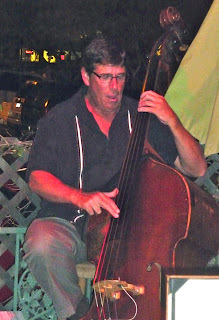 I had recently seen Blake with the wonderful singer, Rose Mallett and thought he was a fine Bass player. But tonight, playing jazz in this trio, he was allowed to push the Jazz envelope, and his solos were intelligent and clear. He provided the rhythm glue to pull the trio together. Tonight marked the first time this talented group of musicians has played together, but you would never guess it because they sounded wonderful. This group will be back again at the Indian Wells Resort on Tuesday, April 24. You won't find the sounds that this trio produces any where in the area, and I encourage all my readers to get over to the Indian Wells Resort next Tuesday to catch the show. I understand that the Resort is thinking about adding this group as a regular on Tuesday nights next season. This idea would certainly get my vote! Joining in at tonight's opening were several familiar musicians that we all love. First, the resident musical director at the Indian Wells Resort, Frank Di Salvo who sang a couple of great classic songs. In particular, Frank did a beautiful singing job on the standard "My One And Only Love". I have never heard Frank sing better. The next singer was Ken Steele whose golden-deep voice had the feel of the great voice of Johnny Hartman. Ken sang "But Beautiful" and then sang a great version of "Emily". 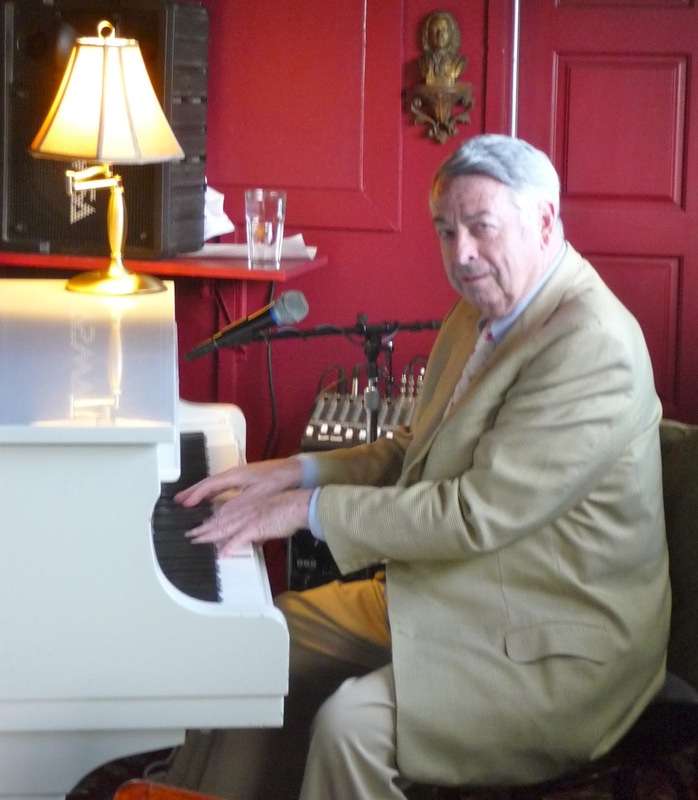 Rich Bono, one of the best pianist in the West, then joined the Trio and played several great songs from the "Great American Songbook". Rich is a great pianist, and I never miss a chance to hear him play. On Wednesday, April 4, I had my first chance to hear Mike Costley sing since last winter. Mike performs at 360 North Restaurant on Wednesdays and Thursdays to a packed house and with good reason. Mike is pure and simple a great singer. In addition, he is also a great performer. When you go to hear Mike you get so much more than just a singer of songs. Mike has his own unique approach to each song he sings, and he never opts for singing safely. When he sings he "takes no prisoners" and pushes his performance to the highest level possible. Tonight, I was particularly impressed with his vocal range which was far greater than I remembered. 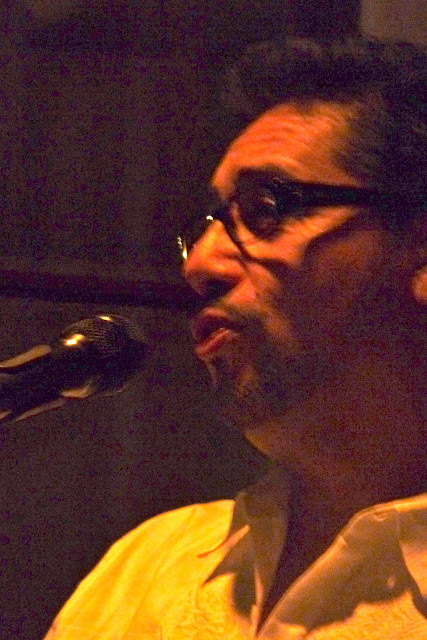 Mike sings a variety of music from lush ballads like "The Very Thought of You" and "The Nearness of You" to a blinding fast version of "It Don't Mean A Thing If It Ain't Got That Swing". His voice can be smooth as silk singing "You Are So Beautiful" to down-and-dirty singing the blues. As a performer, Mike is a perfectionist. He always carefully picks the finest musicians to support his singing and tonight was no exception. Mike had three seasoned, highly-talented players with him, Sal Frisaura on drums, Larry Holloway on bass and the always wonderful Yarek Yurant on keyboard. I thought Yarek's performance with Mike tonight was exceptional. As usual, there were several singers in the audience Mike called up to sing: Carole Hampton, Jeanie Stanhope and the talented Beverly Jensen. If you love R & B and the "Rock & Roll" music of the 50's and 60's, HOUND D0G is the next book you should read! If you write or dream about writing music and lyrics, The Leiber and Stoller example proves you have a chance to succeed but only if you are willing to dedicate your life and put your heart and soul into writing music. However even as successful Leiber and Stoller were as composers, they were always living on the financial edge even after writing some of the most successful songs in the history of the music writing business! Writing good music and lyrics is one thing, making a successful living out of it is a more difficult undertaking. Leiber and Stoller's first love and perhaps their greatest love was the music that Black musicians were singing and playing in the 40's and 50's. Mostly "Black Blues" music coming out of New Orleans, Chicago, LA and NY. 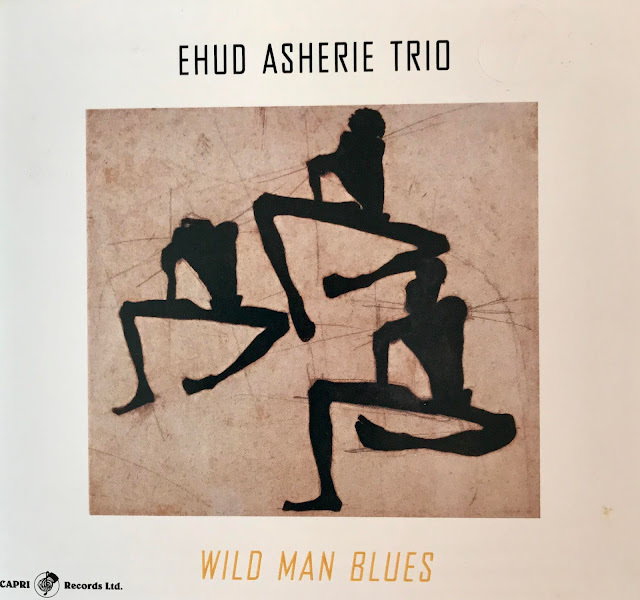 In addition to the "Blues" they both loved the new jazz style that was being played called "Bebop" along with the music of Fats Waller, Count Basie and the jazz pioneers like Coleman Hawkins, Lester Young, Erroll Garner, Charlie Parker and Miles Davis. This was fine except for the fact that the big record labels like RCA, Columbia and Decca almost totally ignored the great Black artists of the times because they didn't think the music was worthwhile, artistically or commercially. So as great as the writing of Leiber and Stoller was, there was very little market for their songs because there was only a small market for Black performers could sell their records. This fact of American musical history while known by Leiber and Stoller, had little effect on their writing. They wanted first and foremost to write music and lyrics that would be recorded by Black artists of the times. Even one of their greatest songs, "Hound Dog" was first recorded by Big Moma Thornton before it became a smash hit for Elvis. In fact, they both thought that even though the success and dollars they made from the Elvis' recording of "Hound Dog" were welcomed, they both still liked the Big Moma Thornton recording much better. The book is written in first person, alternating between Leiber and Stoller recalling their individual thoughts during each period of their lives and careers. I was especially delighted in their later work and personal stories about one of my favorite singers "Peggy Lee". Peggy had two of her biggest hits with Leiber and Stoller songs, " I'm A Woman" in 1962 and "Is That All There Is" in 1969. I enjoyed the trip back to a memorable musical period this book provided. However, I thought that the constant back and forth between Leiber's view to Stoller's view made the understanding of narrative somewhat more difficult. The night I went to Backstreet Bistro to hear Brian Nova, the outdoor event was cancelled due to high winds. So when I heard that Brian would be performing on April 3 at Backstreet, I returned. It was well worth it and proved to be a very entertaining evening. Playing with a trio composed of Jay Lewis on drums, Larry Holloway on bass and Brian as lead with his guitar really cooking. Working with these two talented musicians provided the perfect background for Brian to showcase his amazing dexterity and imaginative improvising on the guitar. 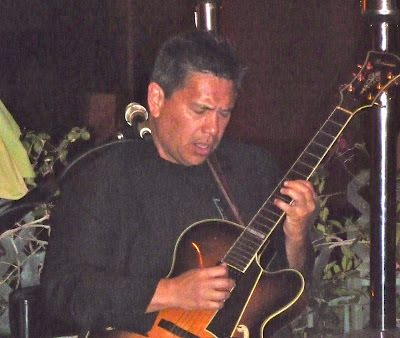 In addition, Brian sang several great jazz tunes to the delight of the standing-room-only crowd at the Backstreet Bistro. 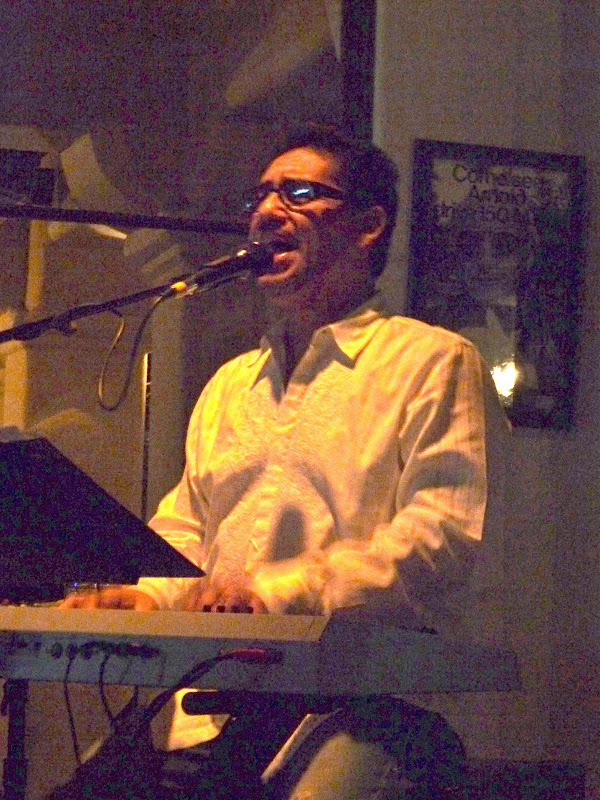 Brian is an understated musical performer for all the lucky residents in the Coachella Valley. If you love great jazz, you have to put hearing Brian on your "To Do" list. Of special note tonight was some killer-bass-playing from Larry Holloway and the always great drum playing from Jay Lewis. This trio sounded like they have been playing together for years and provided Brian with perfect backing. As one would expect, there were several performers in the audience Brian called up to perform. First was a young sax player, Chase Huna. Chase is 12 years old and is in the 7th grade at the Palm Desert Charter Middle School and has only been playing for 3 years. But don't let that fool you, he can play and improvise on sax exceptionally well. Keep up the studying Chase, you have what it takes to become a great player in the very near future. Next up was the lovely and talented singer and friend to all musicians in the Desert, Carole Hampton. 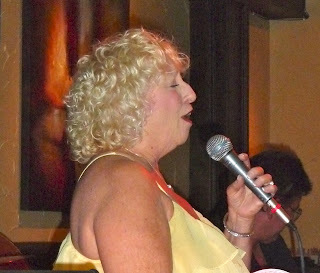 Carole has a wonderful voice and sings effortlessly to the delight of her admiring audiences. Thanks for the great sounds, Carole! 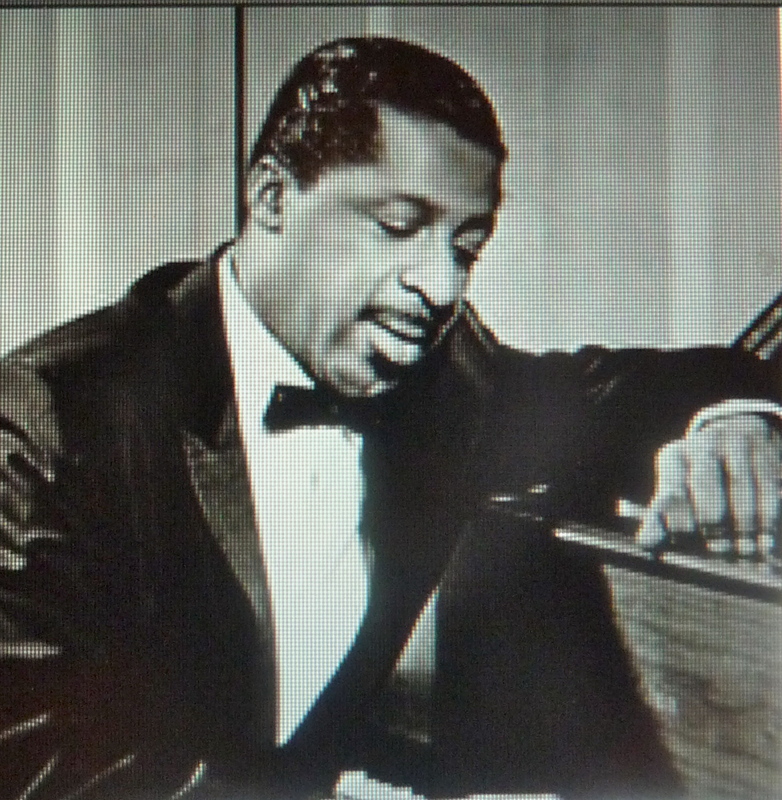 Erroll Garner has been one of my jazz idols ever since I first heard him play piano in the mid 50's. 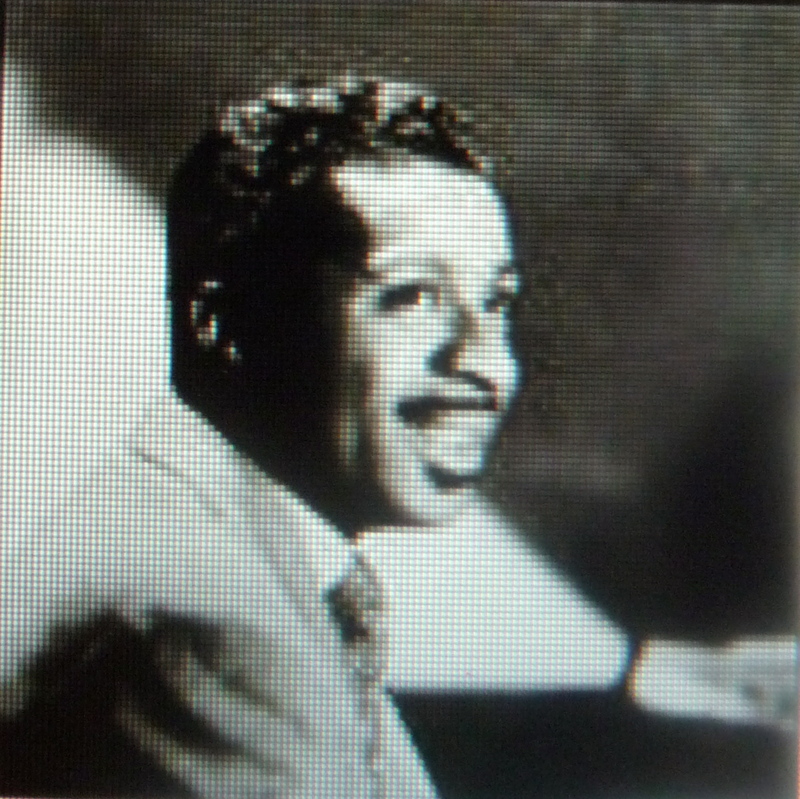 Erroll was born June 15, 1923 and died Jan 3, 1977. He started playing piano at the age of 3. By the time he was 7, he was playing piano on radio station KDKA in Pittsburgh with a group called "Candy Kids". At 11 he was playing on Allegheny riverboats. He did all this playing without ever learning how to read music. Erroll had no problem playing any kind of music without written music notes. 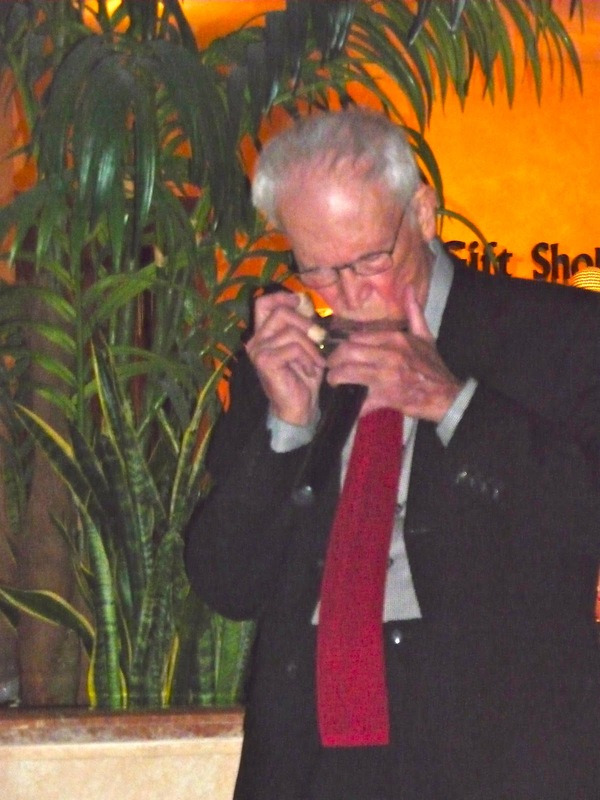 Erroll always had his own distinctive style of playing that is easily recognizable. Along with an outstanding musical career, Erroll also found time to write one of the greatest songs in the history of the "Great American Songbook" Misty. If you have not experienced the magic of Erroll Garner, I have selected two YouTube videos that will open the Garner door for you. If you already are a fan, these YouTube videos are sure to bring back some wonderful memories. The first video is of Erroll playing "Over The Rainbow" that is just great. The second video is Erroll playing his own composition, "Misty" and there are no words to describe how good this is. Erroll Garner Plays "Over The Rainbow"
Johnny Morris Plays The Great Standards Exactly Like the Composers Would Have Played Them Only Better! I wanted to hear Johnny Morris play piano for quite a while but never had the opportunity until Tuesday March 27. 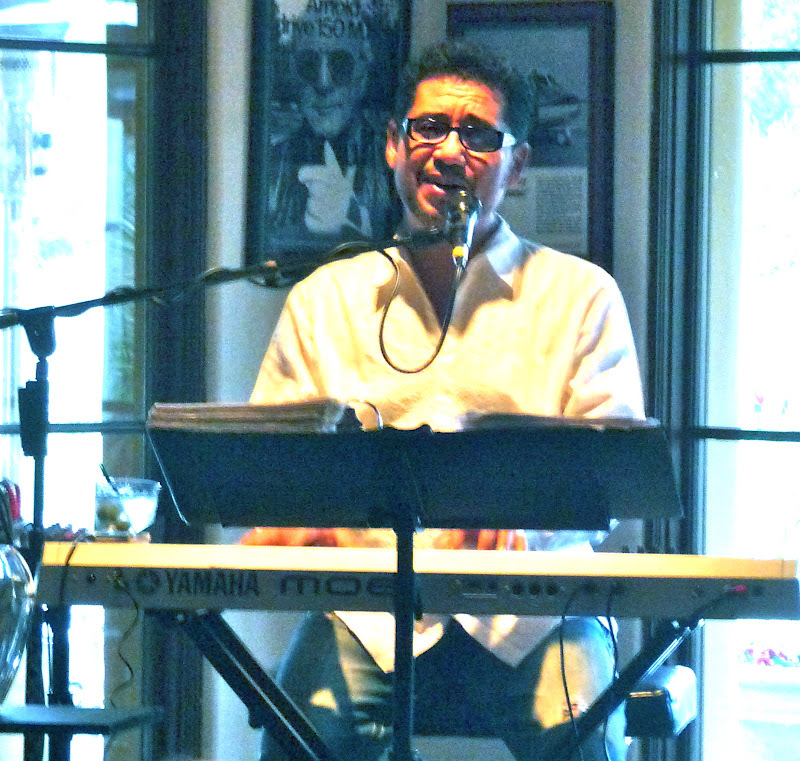 Johnny has been playing and singing at The Sandbar Restaurant in La Quinta for many years. 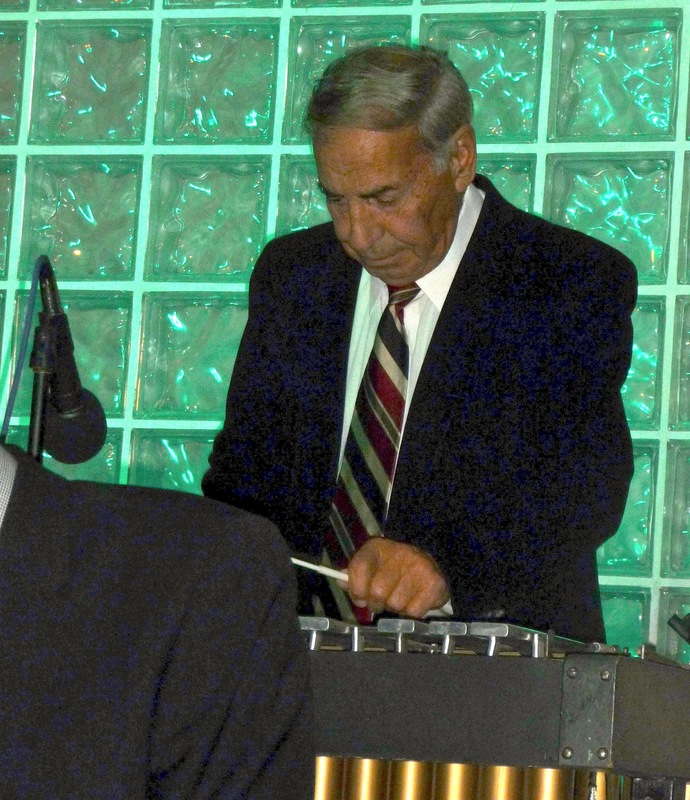 After hearing Johnny play a couple of great Hoagy Carmichael gems, "The Nearness of You" and "Stardust" it was very clear why The Sandbar keeps Johnny playing year after year. He plays standards like he wrote them and for good reason. In addition to being a talented pianist, Johnny is also an acclaimed published arranger sought after by both singers and pianists. He wrote major arrangements for "Steinway's Most Popular Piano Solo Series". He recently performed as the musical director for the sold out, highly acclaimed Derrik Lewis' Musical Chairs' production of "Polka Dots & Moonbeams" presenting the songs of Jimmy Van Heusen at the Indian Wells Theater in Indian Wells. While Johnny feels very comfortable playing for the locals that call the Sandbar home, he also is very much at home playing in some of the most upscale restaurants in New York City like the Oak and Edwardian Rooms in the Plaza, the Hotel Carlyle and the Rainbow Room. La Quinta calls itself "The Gem of the Desert" but now I know there is a second gem in the desert, Johnny Morris! Have you ever wondered what it would be like to be at a party with Cole Porter, Jerome Kern, Oscar Hammerstein II, Ira Gershwin and George Gershwin playing the piano? Well now you don't have to wonder, get over to The Sandbar Restaurant on Tuesday, Wednesday, Thursday or Sunday, sit back, close your eyes and listen to the wonderful sounds of Johnny Morris. As is the custom in the desert, there is always someone who wants to sing and tonight was no exception. Tonight's guest singer was Earl Knauss who sang a few songs along with Johnny's wonderful playing. 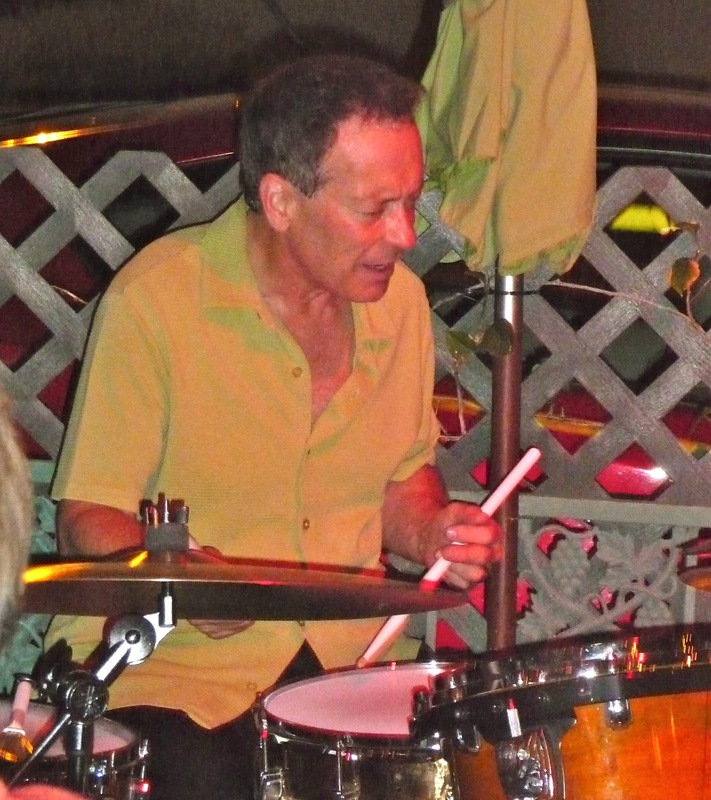 If I was a singer, and I am not, I would want Johnny Morris playing for me! It doesn't get any better.